“A contract under which one party (the insurer) accepts significant insurance risk from another party (the policyholder) by agreeing to compensate the policyholder if a specified uncertain future event (the insured event) adversely affects the policyholder. Now, The major judgement required in insurance contract arrangement is recognition and measurement of insurance contract liabilities based on NFRS 4. So, as said in above para, insurance companies are required to assess the liabilities recognized by making in-depth assessment of the assumptions and estimate of future cash flows used by actuarial. a. A. The test considers current estimates of all contractual cash flows, and of related cash flows such as claims handling costs, as well as cash flows resulting from embedded options and guarantees. b. B. If the test shows that the liability is inadequate, the entire deficiency is recognized in profit or loss. 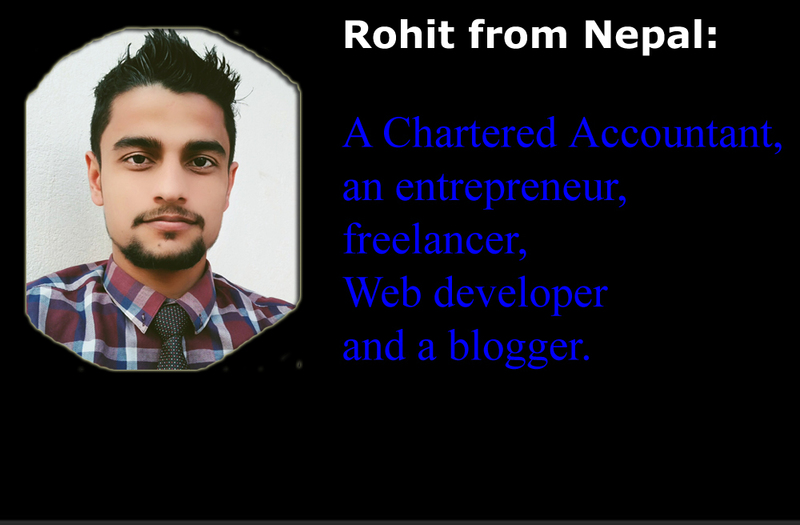 Hence after testing all of the above requirements, it should be closely considered that, is there any error or changes in factors used for estimation of future cash flows including cash flows resulting from embedded options and guarantees, the entire resulting figure due to such inadequacy shall be immediate recognized in statement of profit or loss. Besides it, the standard itself states that, NFRS 4 do not imposes any mandatory provision and guidelines regarding test of adequacy of insurance contact liabilities to reflect the fairness. I) the insurer can measure the deposit component (including any embedded surrender options) separately (I. e. without considering the insurance component). II) the insurer's accounting policies do not otherwise require it to recognize all obligations and rights arising from the deposit component. B. unbundling is permitted, but not required, if the insurer can measure the deposit component separately as in (a)(i) but its accounting policies require it to recognize all obligations and rights arising from the deposit component, regardless of the basis used to measure those rights and obligations. 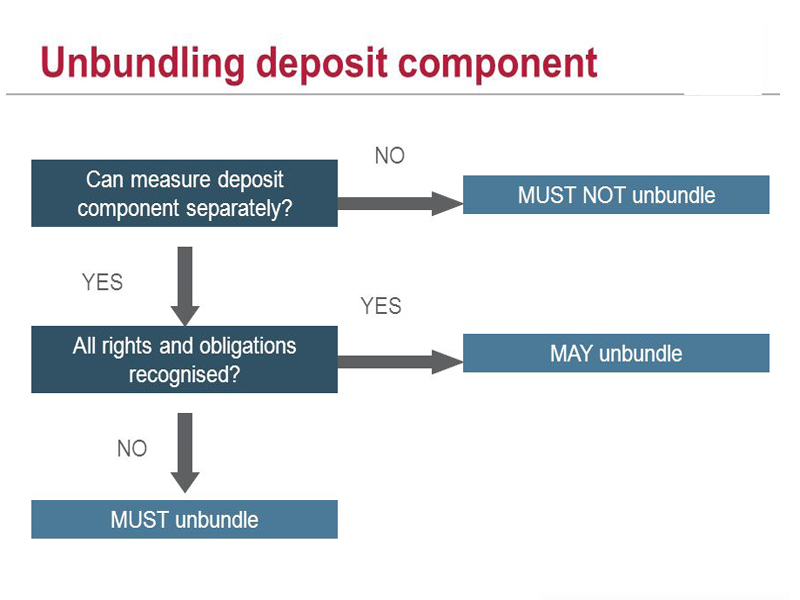 C. unbundling is prohibited if an insurer cannot measure the deposit component separately as in (a)(i). Hence, when an insurer assesses separate components (Viz Insurance liability and deposit liability component) in any insurance contracts, and unbundling is done, its accounting policies require it to recognize all obligations and rights arising from the deposit component, regardless of the basis used to measure those rights and obligations. It’s not an easy task to unbundle the deposit component even though we have reliable basis for its measurement, it shall be deliberately supported by the IT system and data analytics. Thereafter, once unbundling is done, an insurer shall apply NFRS 9 for classification, recognition and measurement of deposit component and NFRS 4 for insurance component separately. The standard also has given privilege on unbundling stating that “Unbundling is permitted, not required” , Hence, it’s a judgment from the insurer’s side whether to unbundle the deposit component fulfilling 2 conditions as stated in para 10 by assessing the reliability of assumptions, observable inputs and other estimations to be used for the measurement. At whatever point you'll allow to your female accomplices to get training they'll not frustrate you. That is the reason, I regularly endeavor to tell the general population about uk bestessays that please center around ladies' better training in the establishments for their better life.